Sleek they are not, but so charming in their demeanour. 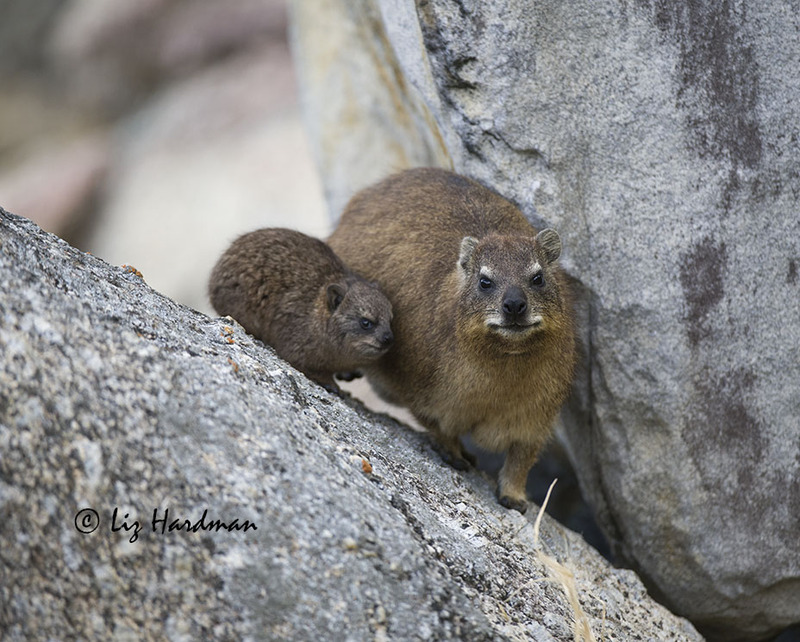 Meet the Rock Hyrax, (commonly known as a dassie) related to the elephant and dugong – the connection to their rounded physique. A lively little colony of about 15 members live at the bottom of our garden, though their numbers fluctuate while caracal finds them a delicious delicacy. 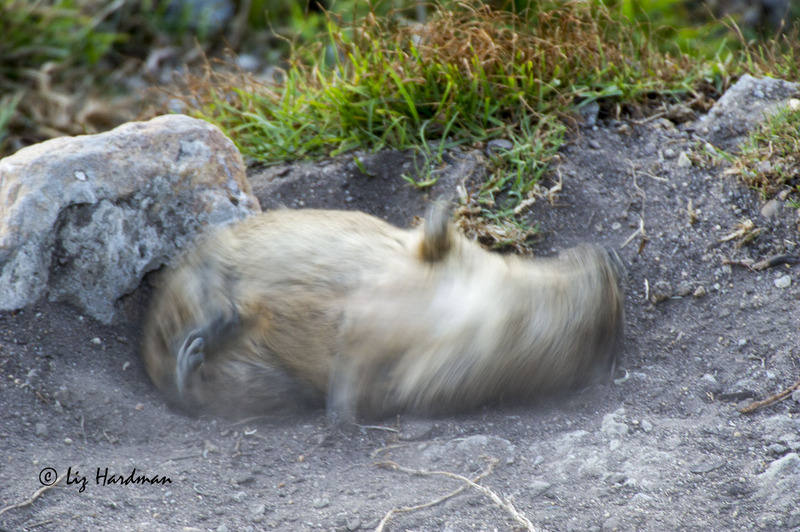 When the female dassies lie sprawled in abandon on the sunwarmed boulders i can’t help but admire their aura of plumply feminine ‘curvaceousness’. Picture the scene as day gently falls towards dusk and colours distill through the waters on the bay. 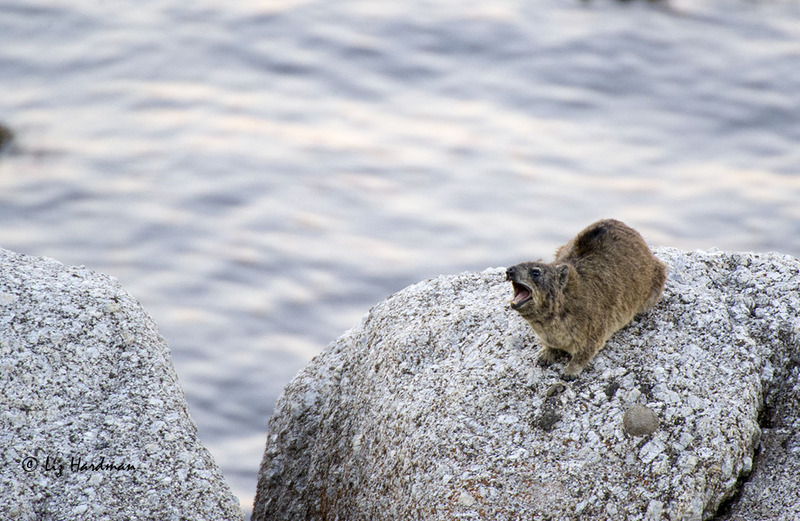 Our community of dassies settle over the rocks and there on the highest is “Pavarotti’ singing arias. The alpha male sings to his harem. What his songs signify I’m not sure, but the females gather up in groups and appear to listen intently. They’re a social community within a hierachy with the alpha male lording over the clan. 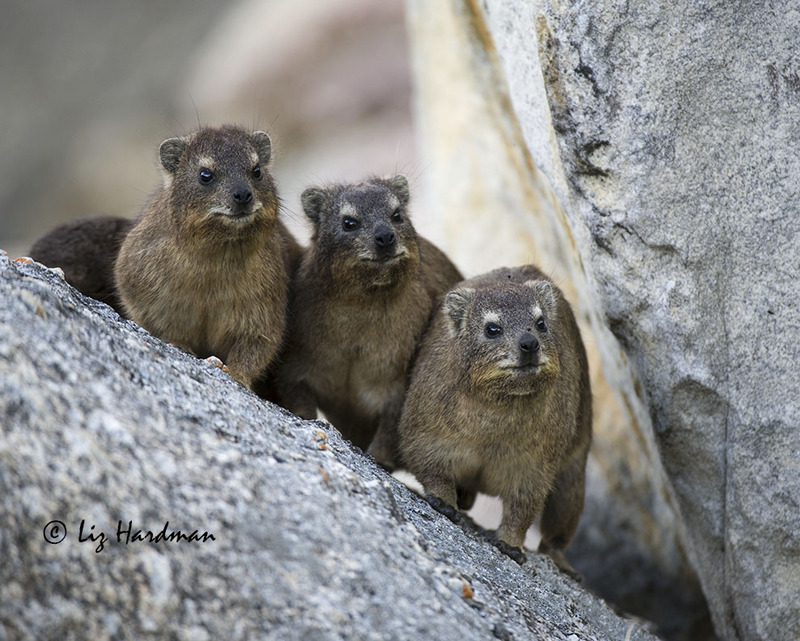 These Rock Hyrax have 21 different vocalisations; we can certainly pick up on the nuance of their calls, from high pitched alarm to this slow repetitive “chunking”. Since there are no obvious threats or predators lurking I assume his evening songs are peaceful, although you’ll notice the dark fur around the dorsal gland is raised. It’s looking mellow out there, whether this has a sexual overtone, I wait to observe…. Meanwhile further along, the roosting cormorants are settling in for the night; their conversation of gutteral grunts and groans has us in stitches as we listen to their syncopated chorus. 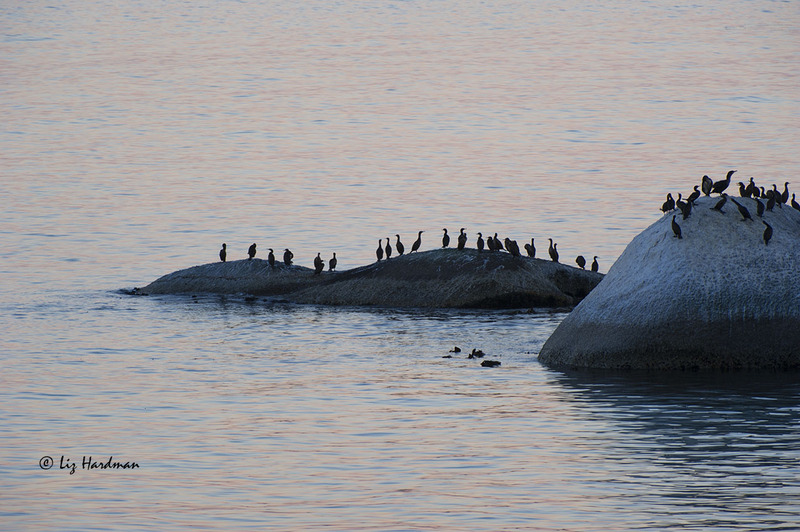 The cormorants heckle on the rocks. All in all its a glorious evening as the sea laps quiety along the coast – short lazy waves, sighing. Such blissful serenity. Why not pop over to the WordPress blog post “Serenity” to see other portrayals of the theme and meet with the weekly community of photographers? Hot off the press!! This new blog rolls out today, and i’m thrilled to be co-contributor. Wilf Nussey, a well known journalist and author, will be telling the Tales of our extraordinary creatures along our coastal patch. I hope you’ll join up for the weekly Friday post…. here is the first episode. Nothing punctures self-esteem like discovering how ignorant you are – especially when the puncturing is by a bunch of insouciant animals. 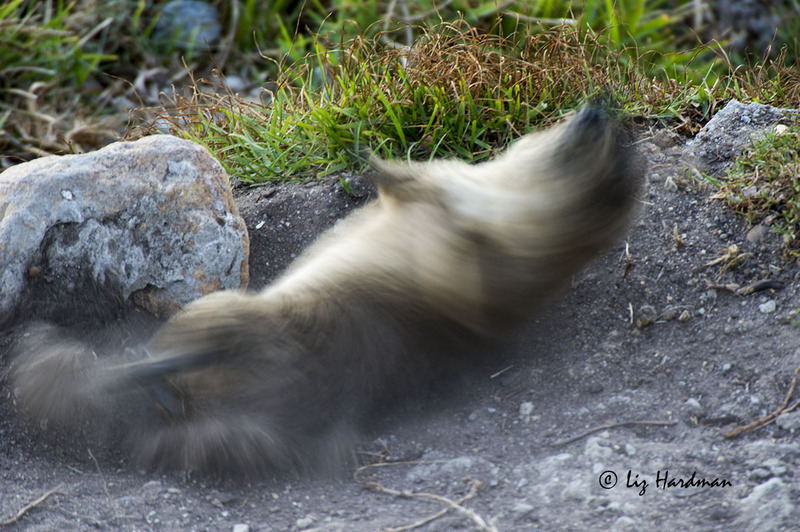 After years of living in the bush I thought I was thoroughly familiar with wildlife and knew it all. I sneered at city dwellers with supercilious conceit – novices who wouldn’t survive a day in the milieu of elephants, lions, antelopes and safari ants. When a twist of fate forced my wife and I reluctantly back into the urb we resigned ourselves to all the things we had fled from: crammed suburbs, snarling traffic, trains, crowds, ghastly shopping malls like garish prisons, rates, beggars, garbage, squabbling politics. That’s it, we gloomed, goodbye nature. 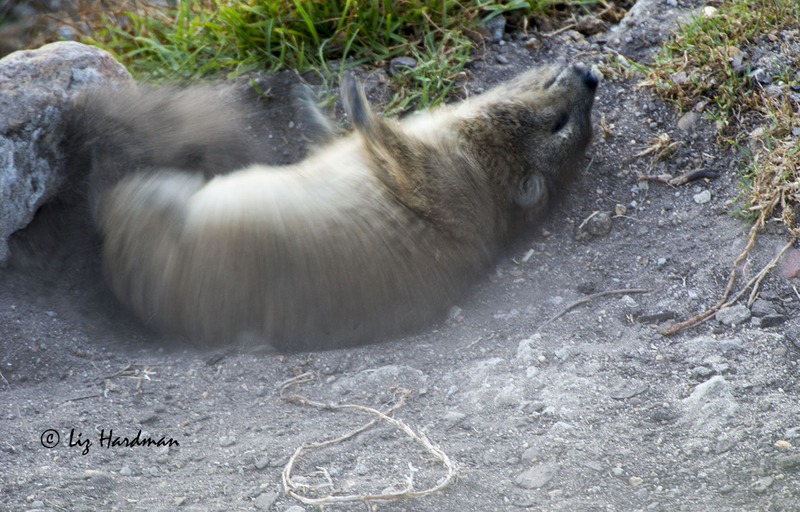 Let’s twist away, like we did last summer…..
Sighted this evening: the first of the baby rock hyrax (dassies). It’s a happy occasion as the numbers over winter had decreased, we suspect that the local ‘rooikat’ (lynx) has been enjoying a high protein diet. The first of the season’s litters makes an appearance. They’re remarkably tough and agile, at just a week old.